Did you know there are more than 3.5 trillion analog photographic pictures - representing generations of families’ historical "Kodak moments" that have not been seen in years and are clamoring to be digitized? 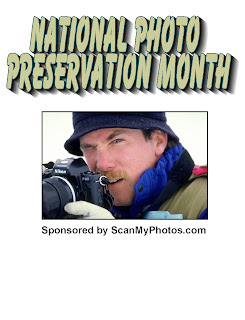 Created by ScanMyPhotos.com® to help call attention to and preserve all those shoeboxes of treasured photo snapshots, the National Photo Preservation Month [NPPM] begins on January 1, 2009. Its goal is to draw awareness to and showcase the obligation of protecting those special photo memories before they fade away. The month of January was selected to coincide with the International Consumer Electronics Show® in Las Vegas. This is the world’s largest consumer trade show, where new consumer products are introduced and often the seed for innovations that surround digital imaging. "Using Kodak digital imaging technology, it is possible to affordably and quickly digitize all those snapshots," explained Mitch Goldstone, founder of NPPM and president and CEO of ScanMyPhotos.com, an international ecommerce photo imaging service that was founded in 1990 by its parent company, 30 Minute Photos Etc, based in Irvine, California. The idea was sparked from National Geographic Traveler magazine’s® Jan/Feb 2009 front cover headline, "Preserving Your Travel Photos" which featured a lengthy article by Scott S. Stuckey on how to make your travel photos truly timeless. Traveler’s senior photo editor, Daniel Westergren explained that "the short answer is to scan your old pictures." This advice guided ScanMyPhotos.com to help promote making all your photo memories timeless through the establishment of NPPM to draw attention to preserving photos. Collect all your old photos. Get your entire family and circle of friends involved as a treasure hunt to track down those Polaroid snapshots, shoeboxes of pictures and photos stacked away in draws and on closet shelves. Use your favorite social networking website, from MySpace, Twitter, FaceBook, Blogger and others to ask your relatives and friends to find those old school pictures, vacation shots, wedding and other special occasion photo memories. Share your stories. Write to local newspapers and blog about your experience as you revisit those special photo memories. Once your photos are digitized, tag each one with descriptive messages and narratives. Write a story about who was in the picture and note something special about the person, scene or event so future generations can keep those memories alive. Keep the momentum going. According to reports by ScanMyPhotos.com customers, the average household has about 5,000 photo snapshots. Once the pictures are pooled together, get it scanned. 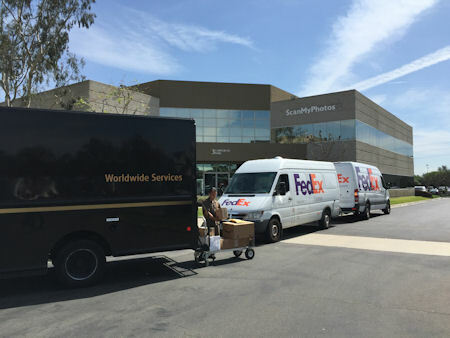 There are a variety of photo scanning services available, from independent photo imaging retail labs to high-volume, bulk scanning services like ScanMyPhotos.com. 5) Share your story and ask the experts for help to preserve your photos. As part of NPPM, the ScanMyPhotos.com website is extending is free Live Support Help Desk to assist with instant answers to questions on how to preserve and digitize your photos. Profiles recounting how people are preserving their photos will be posted at "Tales from the World of Photo Scanning" [blog.ScanMyPhotos.com] and gathered to share with tech, consumer and lifestyle reporters.